SKU: WS348. Categories: Celebrity, Funny Signs, Novelty Signs, Warning Signs. Tags: Jimmy Buffet, mararitaville, Parrot Head, Warning Signs. 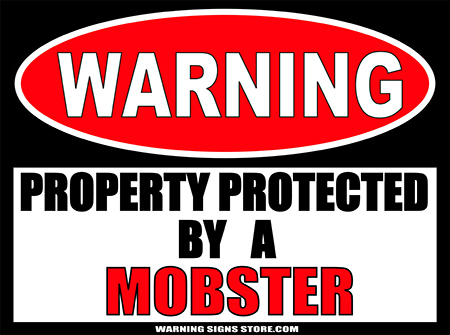 If you’re a Parrot Head or know someone who is, this sign is a no-brainer. Buy it! It makes a great way to promote that you’re a fan of Jimmy Buffet or makes a great gift! 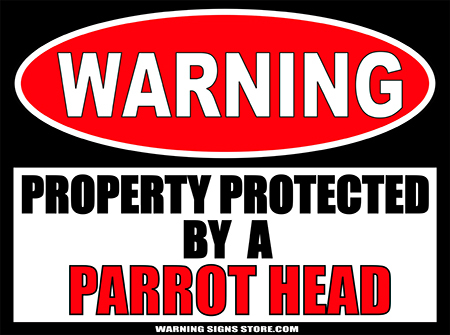 This Property Protected by a Parrot Head sticker measures out to approximately 4.5″x6″. It is printed in a glossy finish with eco-friendly inks on a premium vinyl polymer. Our inks are UV resistant and designed to last 7-10 years, indoors or out.